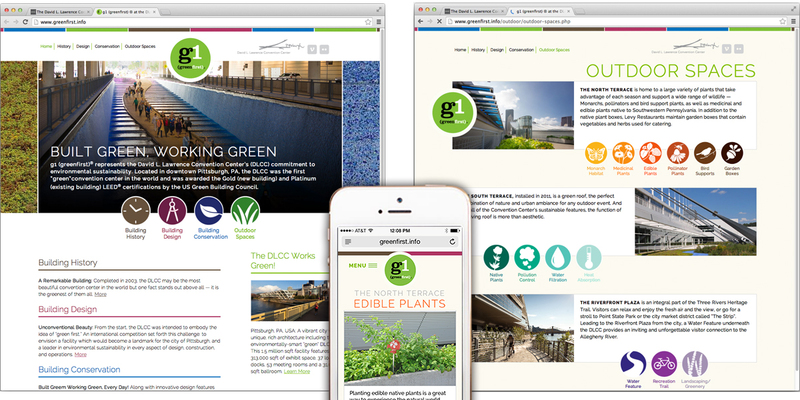 g1 (greenfirst)® represents the David L. Lawrence Convention Center’s (DLCC) commitment to environmental sustainability. The DLCC was the first “green”convention center in the world and was awarded the Gold (new building) and Platinum (existing building) LEED® certifications by the US Green Building Council. 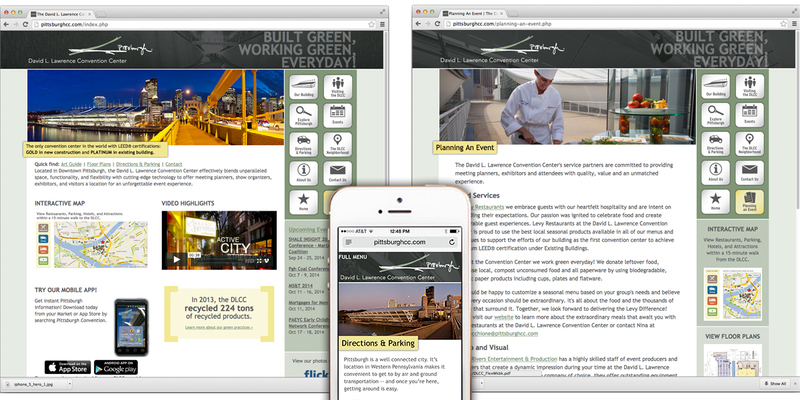 This site showcases the building’s design, history, practices, and green outdoor spaces. Shoefitr’s 3-D scanning software shows shoppers how shoes will fit and recommends the best fitting size. This creates consumer confidence, conversions, and reduces returns. 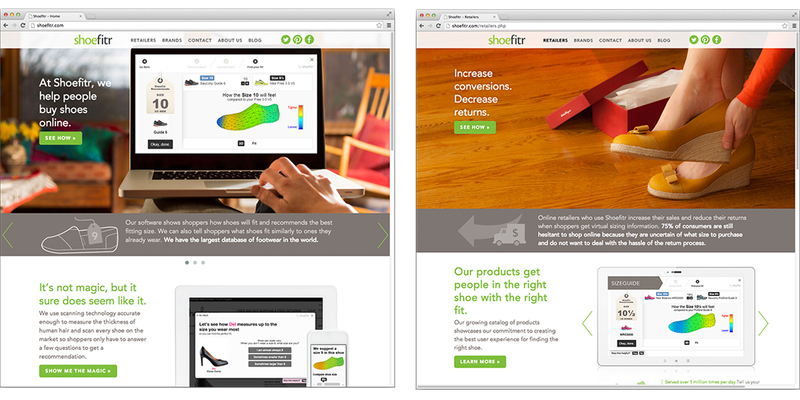 This site uses striking imagery and illustration, as well as concise messaging to quickly communicate Shoefitr’s technology and usefulness to both consumers and shoe retailers. Beaver Falls is an historical, picturesque town located 42 miles north of Pittsburgh. 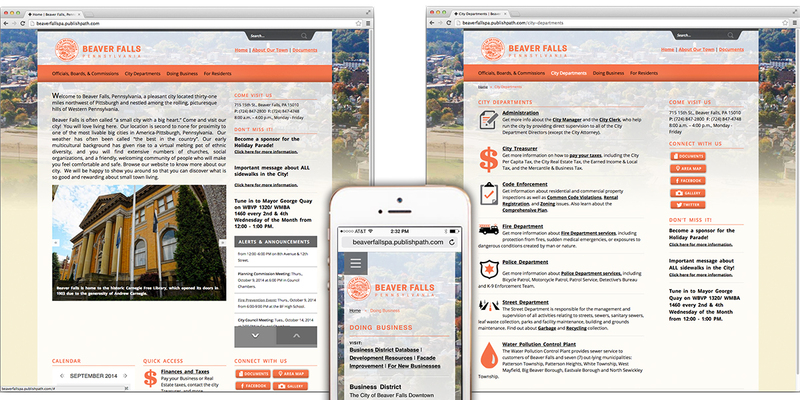 This site was built as a primary communication tool between the public and city government, providing a diverse range information from festivals and events to rental permits and council meeting minutes. Legume Bistro, and it’s sister bar Butterjoint, are family-run restaurants located in the North Oakland neighborhood of Pittsburgh. The original 34-seat Legume opened in 2007 in Regent Square with the goal of serving simple seasonal food in a gracious and friendly manner. 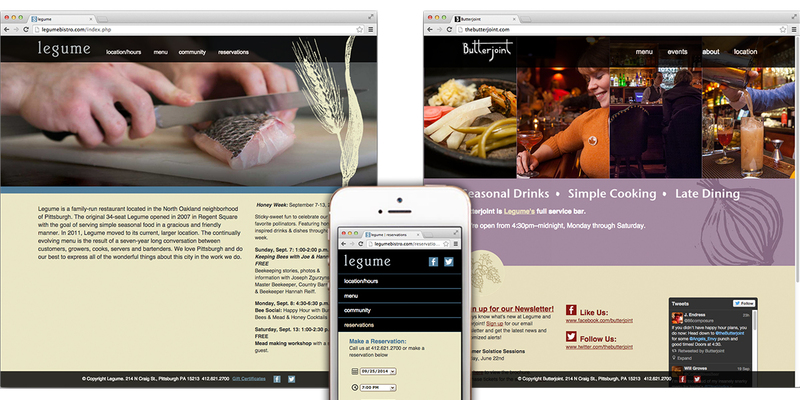 In 2011, Legume moved to its current, larger location. The continually evolving menu is the result of a seven-year long conversation between customers, growers, cooks, servers and bartenders. This site showcases the David L. Lawrence Convention Center’s unparalleled space, functionality, flexibility and cutting-edge technology. The DLCC offers meeting planners, show organizers, exhibitors, and visitors a location for an unforgettable event experience.